"Growth isn't just occurring in our backyards, it is occurring in all corners of the market." That's the view of Coldwell Banker Jamaica's agency director, Andrew Issa. 2016 was an incredible year, he adds, as the Jamaican housing market continues to strengthen. Foreign investors dominate the high-end market, while young Jamaican professionals who are first-time homebuyers fuel demand for mid-income bracket properties. "Just a few weeks ago, the New York Times mentioned Kingston as one of its 52 Places To Go In 2017. We anticipate that we'll be seeing many more tourists in our capital city and many more real estate investors. And apart from the Kingston market, investor confidence is building island-wide," stated Issa in a recent Coldwell Banker Jamaica publication. 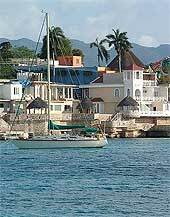 Vacation homes located in Montego Bay area, Ocho Rios, and Negril are attracting foreign homebuyers. Port Antonio is also slowly gaining popularity after an airport expansion in the area, according to Nicola Delapenha of Coldwell Banker Jamaica. Vacation homes are priced from US$ 800,000 to US$10 million, according to Seventh Heaven Properties managing director Walter Zephirin. Turning to domestic buyers, the recent reduction of mortgage interest rates and increased loan limits in some banks beefed up housing demand in 2016. Demand for homes costing J$25 million (US$ 192,986) and below showed strong growth over the past year, while houses worth above J$40 million (US$ 308,777) had the least growth, according to the Jamaica National Bank (JNB, formerly the Jamaica National Building Society). Similarly, BNS Jamaica Ltd (Scotiabank) saw higher demand for units ranging from J$20 million (US$ 154,388) to J$25 million (US$ 192,986). The bank also noted that there was an increase in demand for townhouses, apartments, and for properties in gated communities. Some property developments that broke ground this year targeting professionals include the Ruthven Towers apartments in St. Andrew, whose 226 apartments are set to be completed in July 2019. The starting price of the apartments is estimated to be at around J$18 million (US$ 138,950). Another is Wihcon Ltd's residential housing scheme "Lofts", a 128-unit apartment complex on Arthur Wint Drive, Kingston, priced from J$13.8 million (US$ 106,528) for a studio apartment to J$21 million (US$ 162,108) for a two-bedroom unit. There are no restrictions on foreign ownership of property in Jamaica. However, foreign currency remittance for the purpose of purchasing real estate is prohibited without the approval of the Bank of Jamaica. Consent from the Exchange Control Department of the Bank of Jamaica is required prior to engaging in purchase agreements. Prices of apartments and houses have continued stable in Kingston and St Andrews during 2010, continuing the trend of 2009. The exception is a decline in the prices of the largest houses, which fell sharply between 2008 and 2009. A 3-bedroom apartment in Kingston and St Andrews would cost around US$240,000. A 3-bedroom house in Kingston and St Andrews would cost around US$330,000. Gross rental yields remain very strong, especially on apartments, with 2 bedroom apartments reaching yields of around 10%. This would seem to suggest that Jamaica’s residential property market is firmly-based. Rental Income: Nonresidents earnings rental income are taxed at a flat rate of 25%. Property taxes, maintenance costs, interest payments, and depreciation are deductible from taxable income. Capital Gains: There are no capital gains taxes in Jamaica. Inheritance: Transfers of property as inheritance taxes is taxed at 7.5%. Residents: Resident are taxed on their worldwide income at a flat rate of 25%. Round-trip transaction costs are between 16.49% and 22.32%. The buyer and the seller are separately liable for their own legal fees. But both are jointly liable for the Stamp Duty of 4%. The seller pays the real estate agent’s commission of 3% to 5%, which is subject to 16.50% General Consumption Tax (GCT). The transfer tax of 5% the property value is usually paid by the seller. Jamaican law is pro-tenant, but in practice high-end rental agreements often ignore the law and practice is pro-landlord. Rents: Rents and rent increases for all commercial and residential premises are set and regulated by the Rent Assessment Board. The standard rent is prescribed by the Minister and is currently set at 7.5% of the property’s assessed value. Tenant Security: Lease agreements can either be short-term or long-term. A landlord cannot evict a tenant without a court order. It takes a minimum of 105 days to evict a tenant. The Jamaican economy has performed very poorly for a long time, and the country is still on International Monetary Fund (IMF) life support because of its high debt levels. Jamaica is estimated to have grown by 1.4% in 2016, after 1% growth in 2015, according to the Planning Institute of Jamaica (PIOJ). Longer-term, the numbers are even worse. Jamaica grew by only 1.5% annually from 1999 to 2007. There was a GDP contraction by 0.8% in 2008, when it was the only Caribbean country aside from the Bahamas to experience recession. GDP fell by 3.4% in 2009, followed by a 1.5% decline in 2010. After weak growth of 1.4% in 2011, the economy slipped again into recession in 2012, contracting by around 0.5%. Jamaica grew by only 0.5% and 0.2% in 2014 and 2013, respectively, according to the International Monetary Fund (IMF). The economy is projected to grow by around 2% in 2017, according to the World Bank. In November 2016 Moody's raised several Jamaican government debt ratings from Caa2 to B3, citing "sustained fiscal consolidation and the government's strong commitment to continued reforms to reduce its high debt burden". In February 2016, Fitch Ratings also upgraded Jamaica’s credit rating to B with positive outlook, up from B-. A 4-year IMF Extended Fund Facility (EFF) support package of US$932 million recently ended. It came with the usual strings of an economic reform programme. A new standby agreement with the IMF was reached in October 2016, providing Jamaica with a US$1.7 billion worth of funding for the next three years. This replaced the EFF, which was due to end in March 2017. Prime Minister Andrew Michael Holness stated that the agreement is intended to be "an insurance policy against unforeseen economic shocks". Unemployment stood at 12.2% in April 2017, lower than last year's 13.7%, according to STATIN. Inflation slowed further to 1.7% in 2016, from 3.7% in 2015, 6.4% in 2014, 9.5% in 2013, 8% in 2012, and 6% in 2011, according to the Bank of Jamaica. The country’s inflation rate averaged 12.5% from 2004 to 2010. Jamaica Labour Party's (JLP) leader Andrew Holness became Jamaica's Prime Minister in the February 2016 general elections, as his party, the JLP, won by a narrow margin against the People's National Party (PNP). The JLP won 32 seats, while PNP got 31 seats. Prime Minister Holness is serving for the second time as Jamaica's prime minister. The first was after he succeeded Bruce Golding, serving from October 2011 to January 5, 2012. His pledge of creating more jobs, improving health care and education, and cutting taxes resonated with voters, as opposed to the austerity measures implemented during former Prime Minister Portia Simpson-Miller's reign. Simpson-Miller, who served as prime minister from January 2012 to March 2016, implemented austerity measures and tight partnerships with its international partners, such as the IMF. Although a leader of the socialist PNP, Miller implemented harsh fiscal policies such as cutting debt and wage freezes as a condition for an IMF loan in 2013. Prior to Simpson-Miller's term in 2012, Jamaica's economy had already been stagnating, and has a huge debt burden, which as of March 2017, was around 115% of GDP. Jamaica’s structural and economic reforms under Simpson-Miller gained international support, including IMF’s four-year Extended Fund Facility (EFF) providing a support package amounting to US$932 million; World Bank and Inter-American Development Bank providing US$510 million each; and the International Finance Corporation (IFC) and Multilateral Investment Guarantee Agency (MIGA) providing support for the country’s private sector development. "The reform programme being implemented in Jamaica is beginning to bear fruit: Institutional reforms and measures to improve the investment climate have started to restore confidence in the Jamaican economy," according to the World Bank. "The country's credit rating has improved, and Jamaican bonds trade at a premium in international markets. Continued prudent macroeconomic policies and careful liability management reduced total government debt to 122 per cent of gross domestic product (GDP) by the end of 2016."